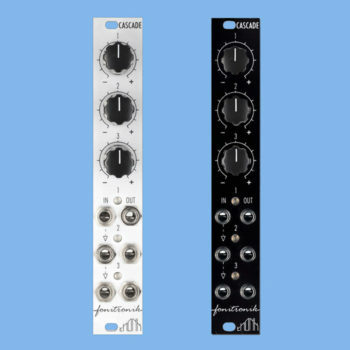 A selection of 1U utility modules in the Pulp Logic / Erthenvar format. 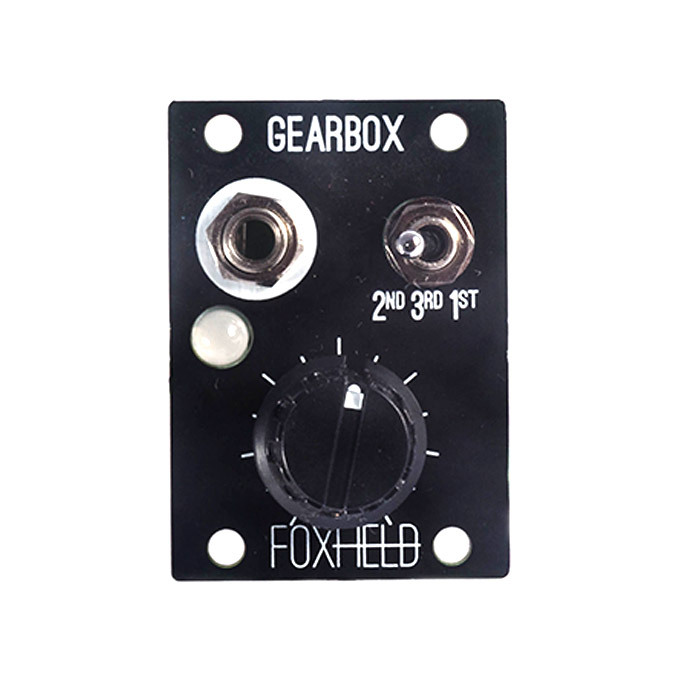 Not compatible with Intellijel cases. 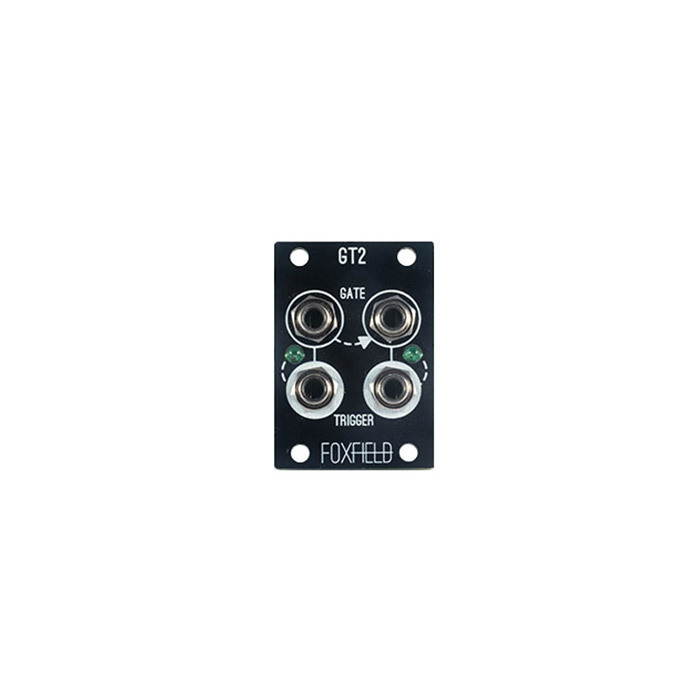 NOT COMPATIBLE WITH INTELLIJEL 1U SYSTEMS. 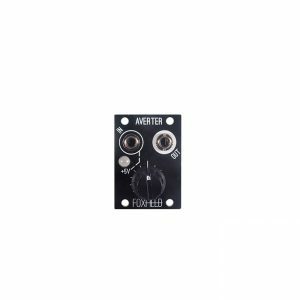 The Averter is an attenuverter that is normalised to +5 Volts. 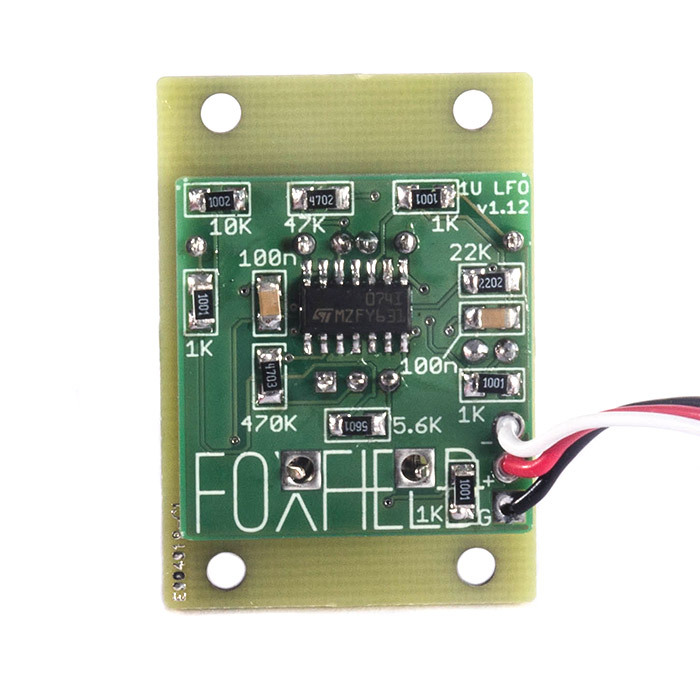 Use it to scale or invert voltage sources, or emit a fixed voltage from -5V to +5V. A bicolour LED indicates the voltage coming out of the OUT jack. 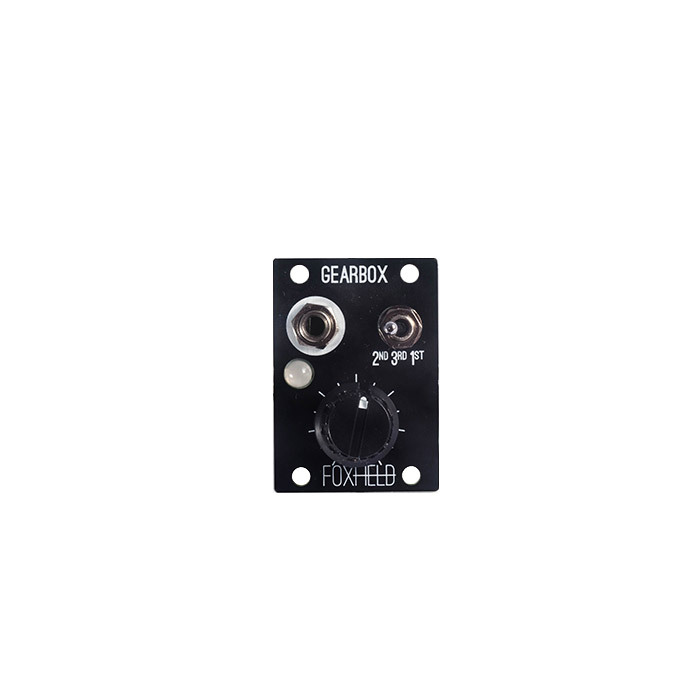 The Gearbox is a variable clock source. 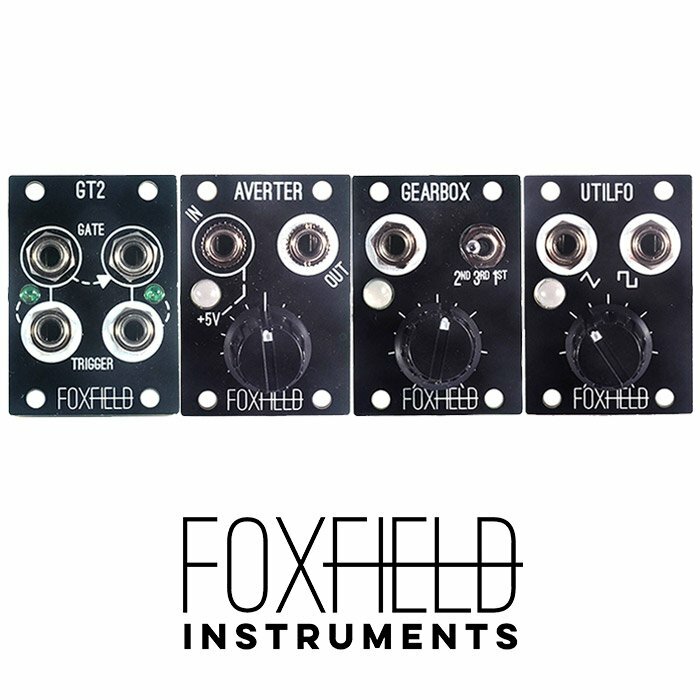 The output of the module produces a 0-5V square wave, at frequencies from around 100mhz up to 500hz, across three ‘gears’ or frequency ranges. 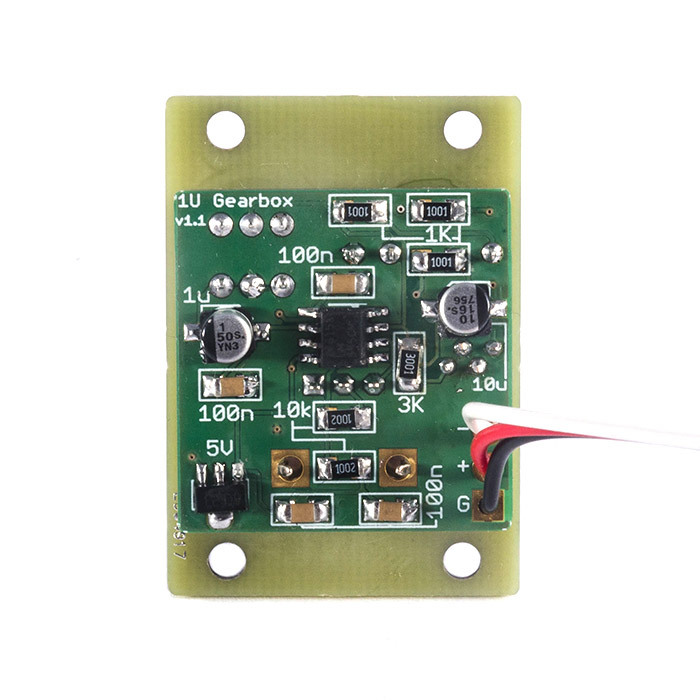 An RGB LED blinks in time with the clock output, changing its colour to reflect which gear the Gearbox is in. 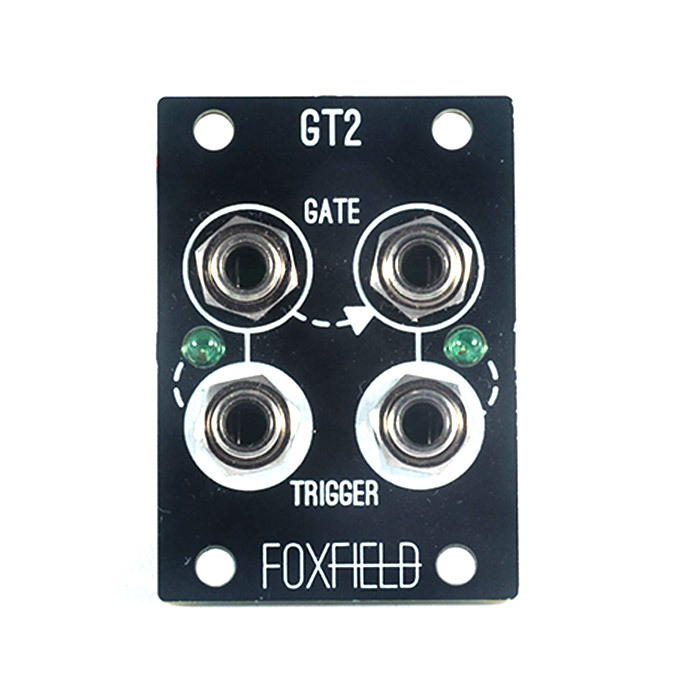 The GT2 is a Dual Gate-to-Trigger converter. 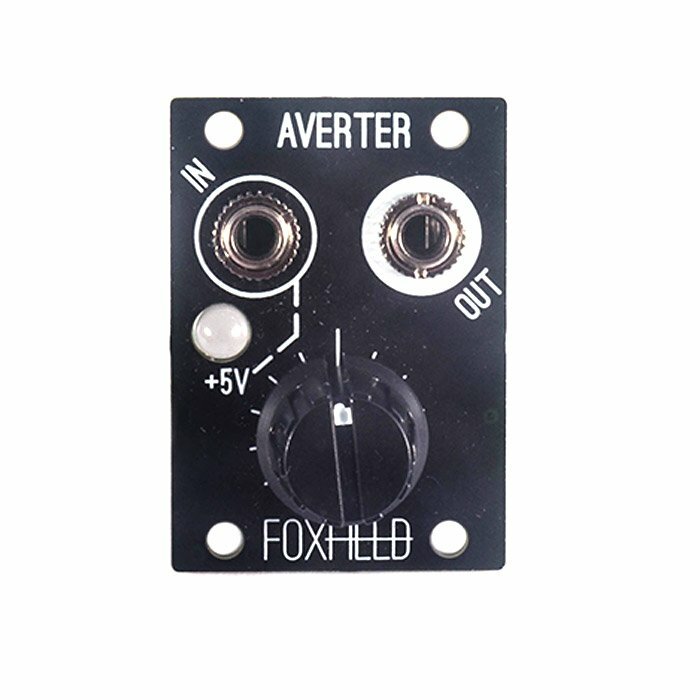 With a gate signal inserted into an input, it will spit out a very brief trigger voltage from it’s output. 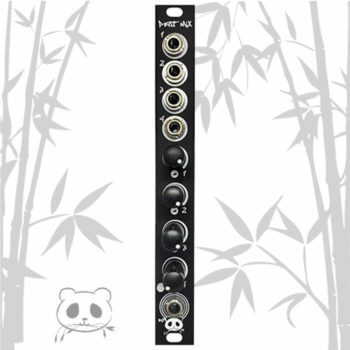 The first input is normalised to the second, meaning that a gate at the left input (and nothing connected at the right) will emit a trigger from both left and right outputs. 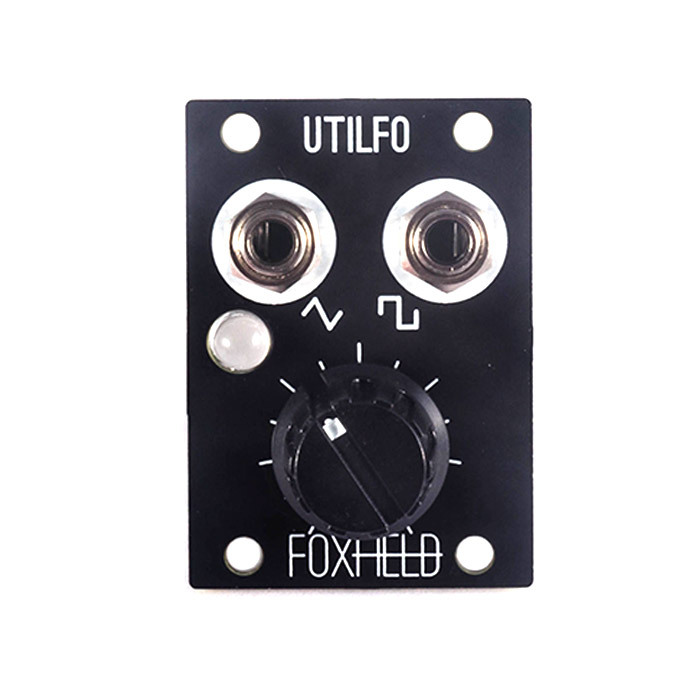 The UtiLFO is a variable utility LFO, emitting synchronised Triangle and Square waves. 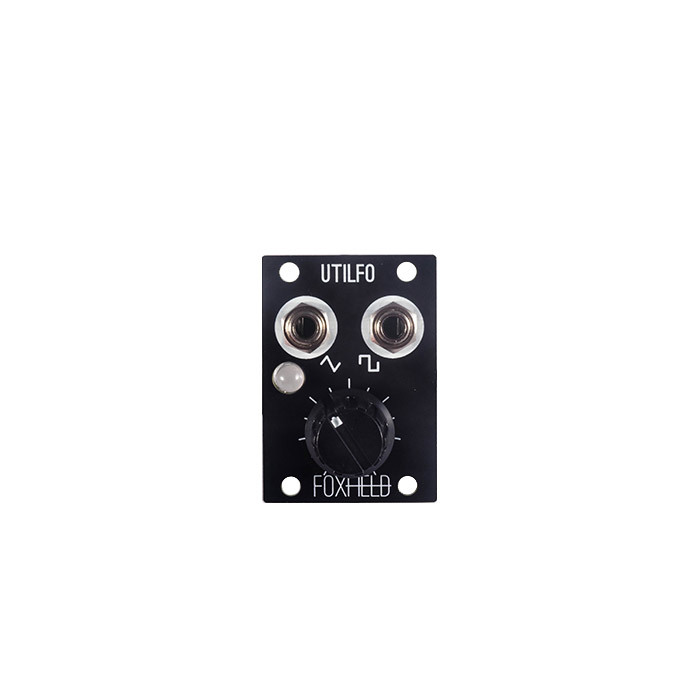 The LFO rate can be adjusted via the knob on the front panel. A red/green LED indicates the current voltage of the Triangle output. 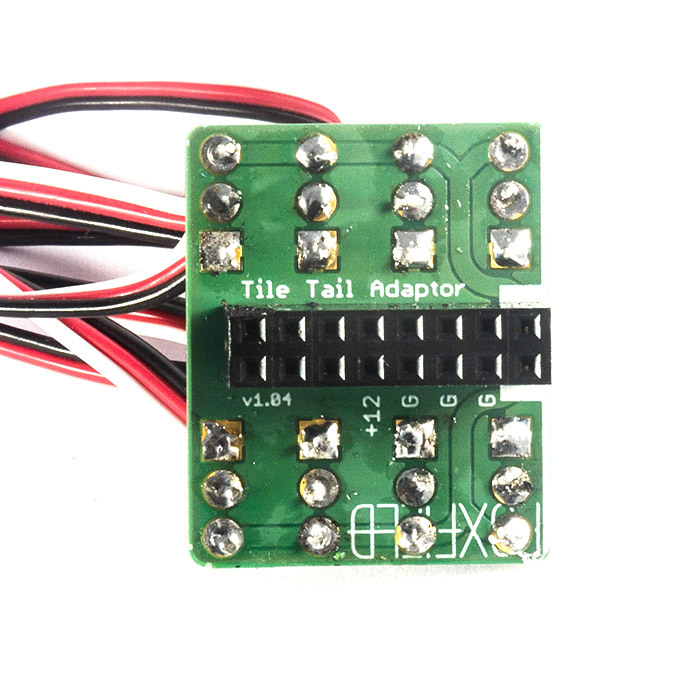 The Tile Tail Adaptor is a power converter for eight tile-tail power connectors from a single sixteen-pin Eurorack power connector. 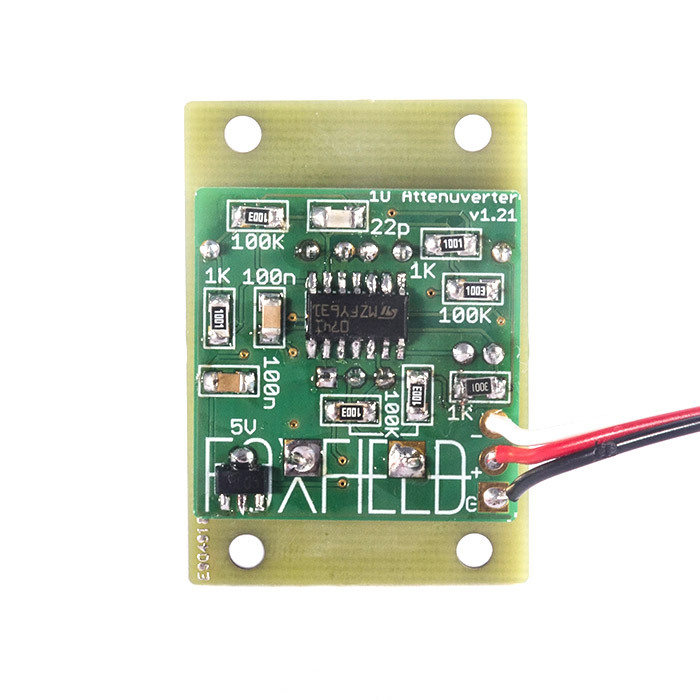 This allows you to power your Tiles from a regular Eurorack busboard or flying bus cable.